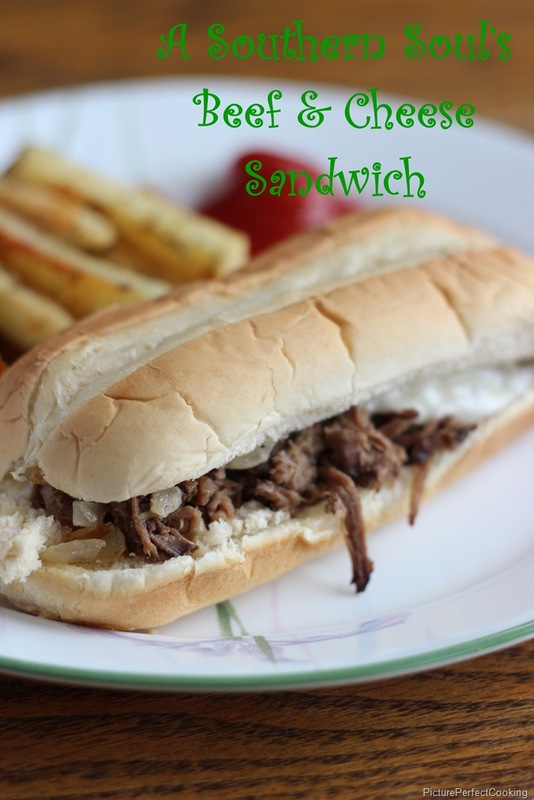 This recipe is a leftover makeover starring last week’s slow cooker roast beef. It is also from Donya at A Southern Soul and it is a winner! I fixed these for lunch on a cold snowy day a few weeks ago and they hit the spot. These will definitely be made again and again. 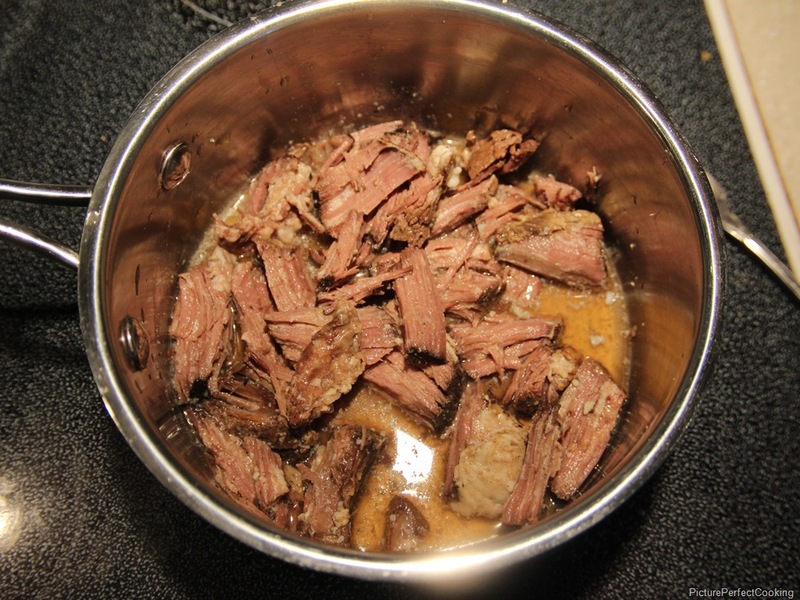 In a medium saucepan, add the roast beef and beef stock. Bring to a low simmer and continue to cook for approximately 10 minutes or until most of the liquid has reduced. Melt 1 tbsp. 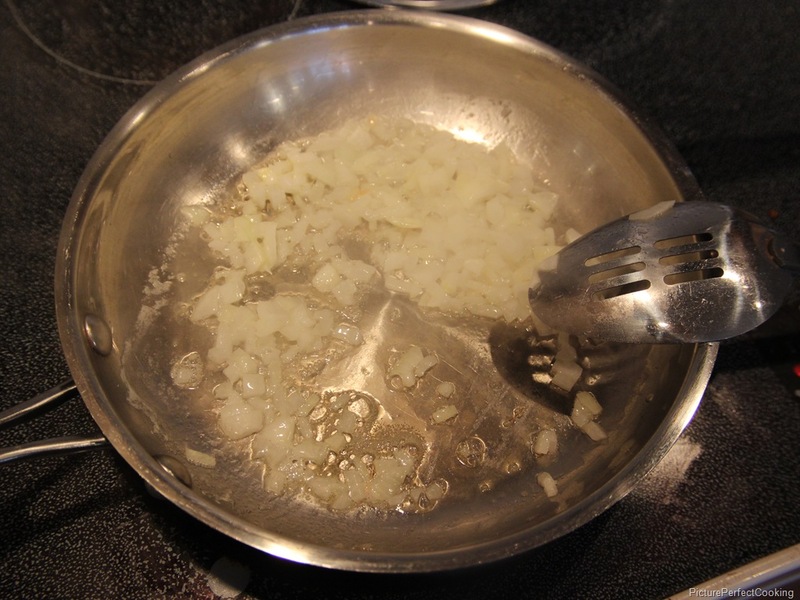 butter in a skillet and add the diced onion. Season with salt and pepper then cook the onions until they are golden and soft. Preheat the oven to 375 degrees. 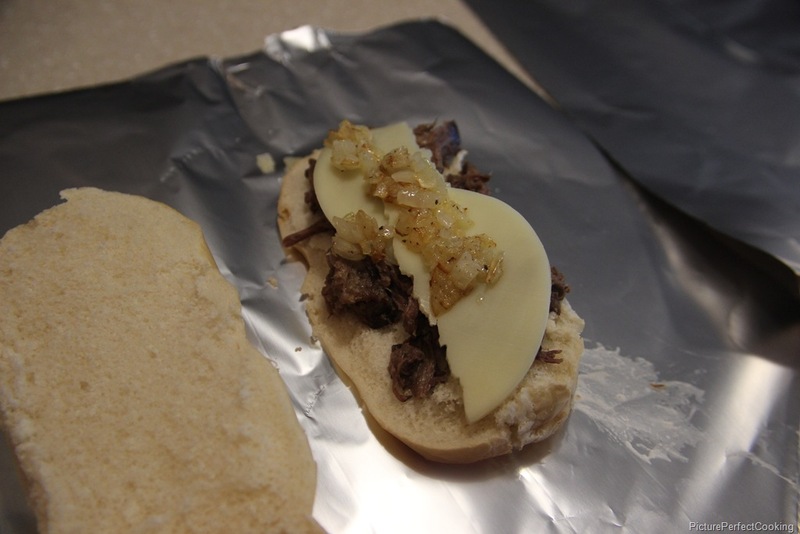 Spread a little butter on the inside of each hoagie roll then layer some of the beef, cooked onion and a slice of provolone cheese. Wrap each sandwich in aluminum foil. 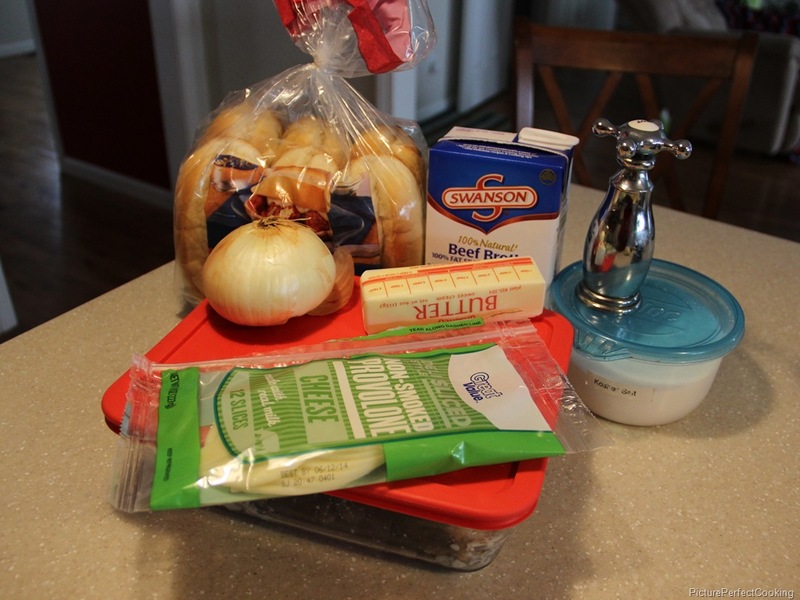 Bake for 5 to 8 minutes or until the cheese is melted. Serve and enjoy! Yum! I’ll take one. I had oatmeal for breakfast, I’m starving. Haha. These are so tasty! We are having them again tomorrow night. Thanks for stopping by and commenting. A brilliant, delicious way to put a spin on slow-cooked beef. Thanks for being a contributor to Foodie Friday! Thanks so much for hosting the link party every week. I always look forward to your beautiful photos and your house updates. 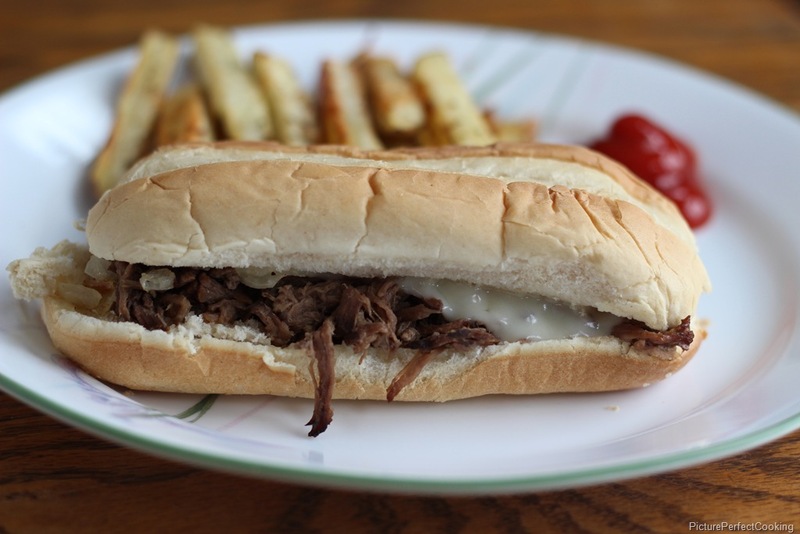 Your Beef and Cheese Sandwich looks delicious! Hope you had a great weekend and thank you so much for sharing your awesome recipe with Full Plate Thursday. Have a good week and come back soon!